I must begin this review by telling you right up-front that I am a huge fan of Clyde McPhatter’s legendary tenor. 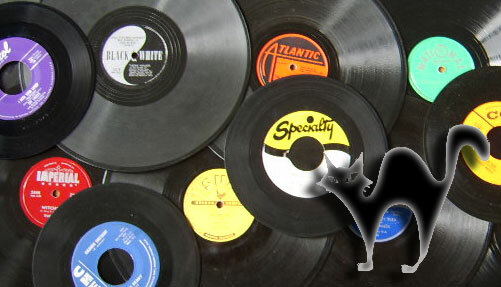 He is as important to 1950s rhythm and blues and later rock n’ roll as Roy Hamilton, Jackie Wilson and even Ray Charles. His early recordings with Billy Ward & His Dominoes set the standard for solid R&B vocal groups featuring a tenor lead. His voice is pure, exciting and natural. He wraps that beautiful tenor around each and every word and he doesn’t let it go until he’s finished saturating it with soul and feeling. In 1953, as soon as Atlantic’s Ahmet Ertegun heard that Clyde had left Billy Ward, he immediate found him and signed him to Atlantic. As the lead singer of the “original” Drifters, Clyde hit the charts with “Money Honey,” “Honey Love,” “Such A Night” and “White Christmas.” He had to leave the group in favor of the Army in 1954 and when he returned from service, he had one thing on his mind: a solo career. Atlantic wasn’t pleased that Clyde wanted to be a solo star, but they went along with it. He scored hits with “A Lover’s Question,” “Treasure Of Love,” “Without Love (There Is Nothing),” “Long Lonely Nights” and a few more, but he didn’t have the massive cross-over success that everyone was waiting and hoping for. When MGM records, with all of its money and distribution muscle came calling in 1959, Clyde was all ears. He jumped from Atlantic to MGM seamlessly. He had already begun recording more “pop” oriented songs and arrangements at Atlantic, so it wasn’t unusual when this trend continued on MGM. It was thought that Clyde would have a better shot at the pop audience if he were on a pop label. MGM was soaring high at the time, with big hits by Conway Twitty and Connie Francis. McPhatter touched the pop charts right out of the gate. His first MGM single, “I Told Myself A Lie,” was written by Otis Blackwell and Jimmy Williams and hit #70 on the Billboard Charts. Not great, but pop radio stations were playing it. Incidentally, the song didn’t even touch the R&B charts. His third MGM single, “Let’s Try Again” is a perfect pop “formula” song and it did quite well for Clyde, hitting #48 pop and #12 R&B. It was his bestseller for the label. After six singles, MGM let Clyde go and he immediately signed to Mercury Records. Now for my money, Clyde’s Mercury sides capture an excitement, a feeling and a soul that I feel was missing on the MGM singles. Right off the bat on Mercury, McPhatter scored a sizable hit with a song he wrote with Jimmy Oliver called “Ta Ta.” It was released in June of 1960 and hit #23 pop and #7 R&B. OK, now we’re cruising. The biggest hit of Clyde’s solo career came in February of ’62 with the Mercury release of “Lover Please.” It hit #7 on the pop charts and remains a staple on oldies radio stations to this day. Clyde’s version of the classic, “Little Bitty Pretty One,” released in May of ’62 ranks up there as one of the best interpretations of the tune. The record buying public thought so too, because they bought enough copies to get it up to #25 on the pop charts. There’s a real depth of feeling on many of Clyde’s Mercury sides. I love the dramatic presentation, almost in a Roy Orbison style, that Clyde uses on “Your Second Choice” from 1961. “The Best Man Cried” ranks right us there as well, so get your hankie out, because Clyde really delivers the tears. Social commentary was the news of the day in the early 1960s, with The Crystals giving us “Uptown,” The Coasters with “What About Us,” Ben E. King’s “Spanish Harlem” and The Drifters’ “Only In America.” Clyde recorded some great tunes in this same social vein. “Deep In The Heart Of Harlem” landed him back on the charts in 1963 and he released a great single that featured “Second Window, Second Floor” b/w “My Tenement” in 1964. In the summer of 1964, Clyde McPhatter recorded one of the greatest live albums of all-time at the legendary Apollo Theater in Harlem, NY. If you’ve never heard this live gem, go out and pick it up. Mercury issued one single from that album, featuring a smoking version of his Drifters’ classic, “Lucille.” His final single for Mercury was released in February of 1965, “Crying Won’t Help You” and it just barely touched the charts. Clyde would go on to record a few well-respected sides for the Army label as well as many other smaller labels, but nothing substantial would come out before his untimely death on June 13, 1972. There is something special in Clyde McPhatter’s vocal power, control and phrasing that just pulls you in and makes you want to listen to his records. His work with the Dominoes, The Drifters and as a solo artist on Atlantic has been well documented over the years, but his MGM and Mercury sides have always been largely ignored. This is a shame and is finally corrected in this new, great 2 CD set from Universal Music’s Hip-O Select imprint. 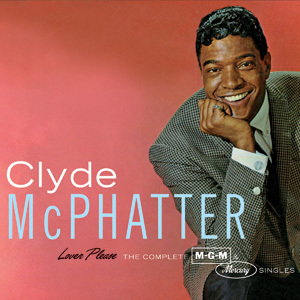 If you’ve ever counted yourself as a fan of the great Clyde McPhatter, you owe it yourself to complete your collection with this fantastic overview of his later material, covering every single released on him by the MGM and Mercury labels. Essential listening, indeed.